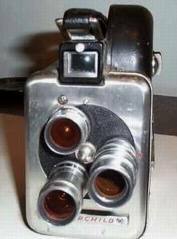 Fairchild Camera & Instrument Co., New York, U.S.A. 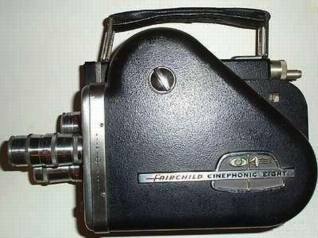 Produced in 1960, the Fairchild Cinephonic Eight was a great invention: a magnetic sound-recording camera. 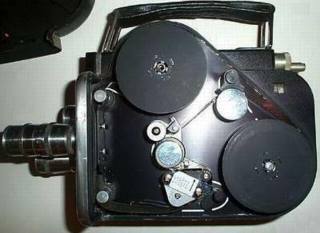 It has a turret with three lenses: an Elgeet 1:2,5 - 7 mm, a Wollensak Cine Raptar 1:3,5 - 38mm and a Wollensak Cine Raptar 1:2,5 - 13mm. The camera weights kg. 2,600 and measures 85x155x230.